Shouldn’t These Front-Rowers at Erdem During LFW Be Flipping Out Right Now? 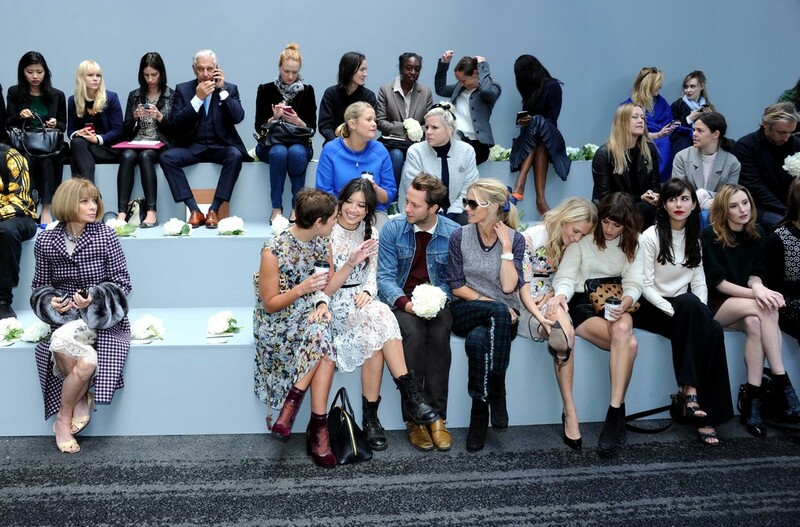 Seriously, if you were sitting front row barely two feet from Anna Wintour, would you not be trying to play it as cool as possible? Maybe that’s what they’re doing by kind of ignoring her and then quietly talking about how the queen of the editors is so, so close and looking right at them. When Ms. Wintour is near, I’m all, Derek Blasberg who?